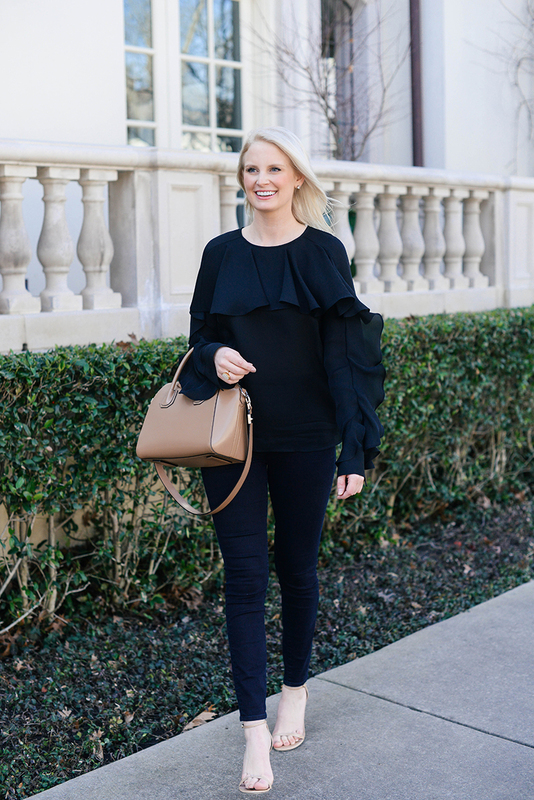 You know of my affinity for statement staples, and this Veronica Beard ruffle blouse is just the latest to sneak its way into my closet! 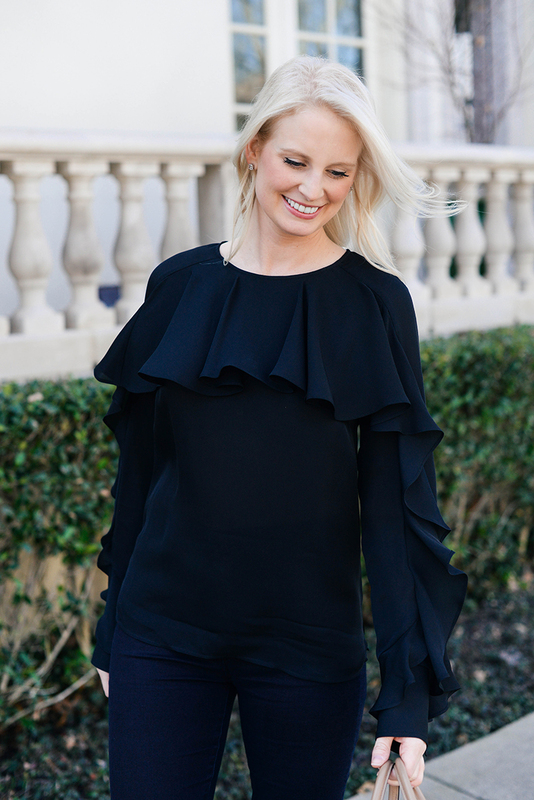 It’s a romantic blouse that is modest enough for the office, but packs a punch with dramatic ruffle details. Tuck it into a pencil skirt for work or wear it with skinny jeans and neutral accessories for a night out! 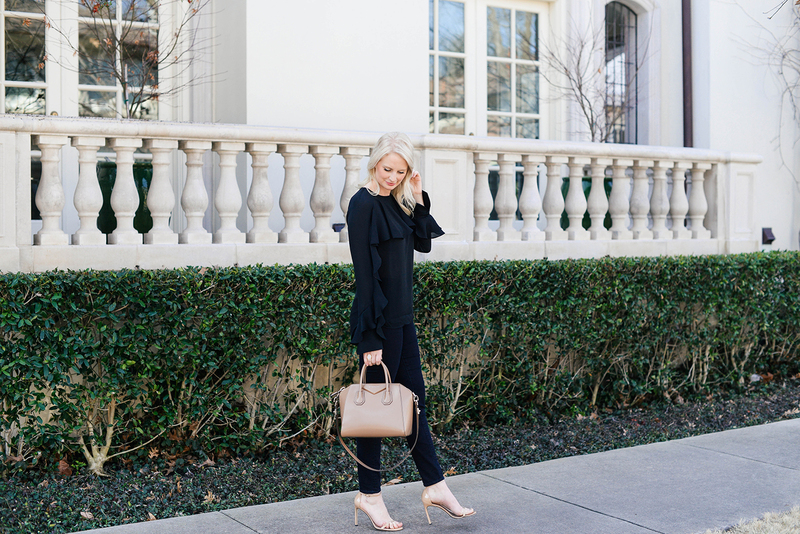 I also wanted to mention I picked up a new pair of my favorite J.Crew Factory high-rise skinnies in black and they are amazing. You can’t really see the rise in the post, but I’m wearing them on Monday with a tucked in top – stay tuned! The fit is fabulous, although I may need to order another pair in a size down – the 28 is actually a little loose on me right now… exciting! I’m thinking that now I’m back to eating my normal volume of food after Whole30 (but without the added sugar), I’ll lose a few more pounds. Gotta get into that bikini body shape for spring/summer! Here are a few more styles to discover if you want to try out the ruffle trend in 2017! This one-shoulder Tory Burch dress looks similar to my all-time favorite Chloe dress, but in that perfect poppy shade I talked about yesterday! If you live somewhere chilly, this soft Rebecca Taylor sweater would be a gorgeous piece to transition to spring with white denim! This ruffled one-piece is flattering and would look great on anyone. Ageless! This white off-the-shoulder blouse has just the right amount of volume, don’t you think? 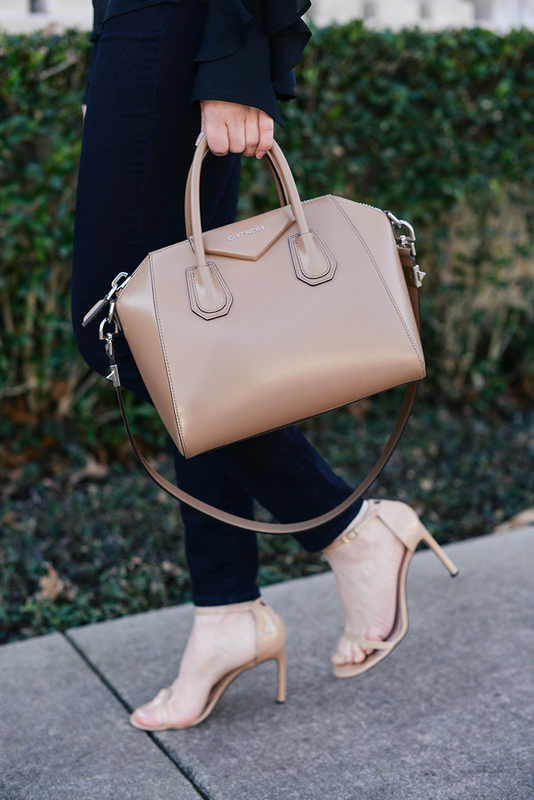 Such a chic summer staple! This ruffled mini skirt is everything I never knew I needed. So adorable! I’d love to add this dramatic Rachel Comey top to my wardrobe for the coming season. Too cute! This ruffle-front tee is a great everyday basic with an extra special touch. That’s a gorgeous blouse! The ruffles are beautiful and the fit is really pretty. How cute is that top! Love the ruffles! 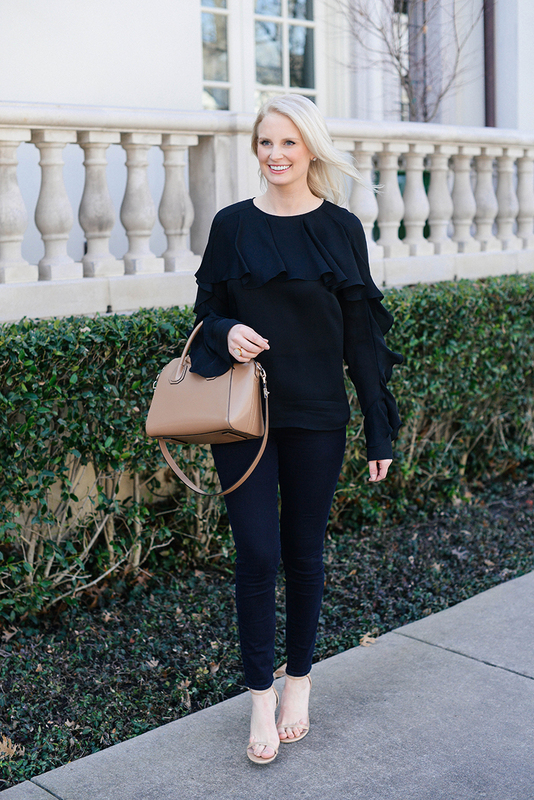 Seriously loving all, of your ruffle, bell sleeve and statement tops! So cute! love this! I am going to have to try those jeans.